A Q&A with Lily Verlaine on La Danse! Le Burlesque! L’Edition Francaise! One week before opening night, Artistic Director and Choreographer Lily Verlaine chatted with me via email regarding the magnifcent trifecta of dance and burlesque works that is La Danse! Le Burlesque! L’Edition Francaise! I recall several years back when I first saw the show – a hugely entertaining collaborative showcase also featuring Kitten LaRue (Artistic Director and Choreographer of The Atomic Bombshells) and Olivier Wevers (Artistic Director and Choreographer, Whim W’Him) – I was absolutely crushed that at least at the time, the show would be performed for one night only. It seemed tragic for a production so exquisite and so incredibly fun to be seen just once; I was ready to see it again the very next night if only it were possible. Luckily many others, including the show’s producers, felt the same. Jessica Price: Hi Lily! L’Edition Francaise is my absolute favorite of your productions, and I’m so glad you and fellow choreographers Kitten LaRue and Olivier Wevers are remounting it. I’m trying to recall when the show was first performed- didn’t it debut in 2010, as a part of your Nightcap series at the Triple Door? Has it been performed every year since? Lily Verlaine: Jessica, thank you so much for taking the time to cover this show and it pleases me to no end to hear how much you like it. The debut of L’Edition Francaise was Bastille Day 2010. We did a single night’s performances on that particular occasion and a short run in May 2011. This is the third showing and it includes some fabulous new pairings, namely the unbelievable blonde sexiness of Tory Tiara and Jon Betchtel in Olivier Wevers‘ “Coquette”. Jessica: I think one of the most exciting characteristics of L’Edition Francaise is that it consists of three equally strong parts in one heady collaborative mix. It’s incredibly balanced: frivolity and tension, boldness and flirtatiousness, sexuality and the ethereal. The three of you have such unique strengths and diverse styles- how did the show come about? 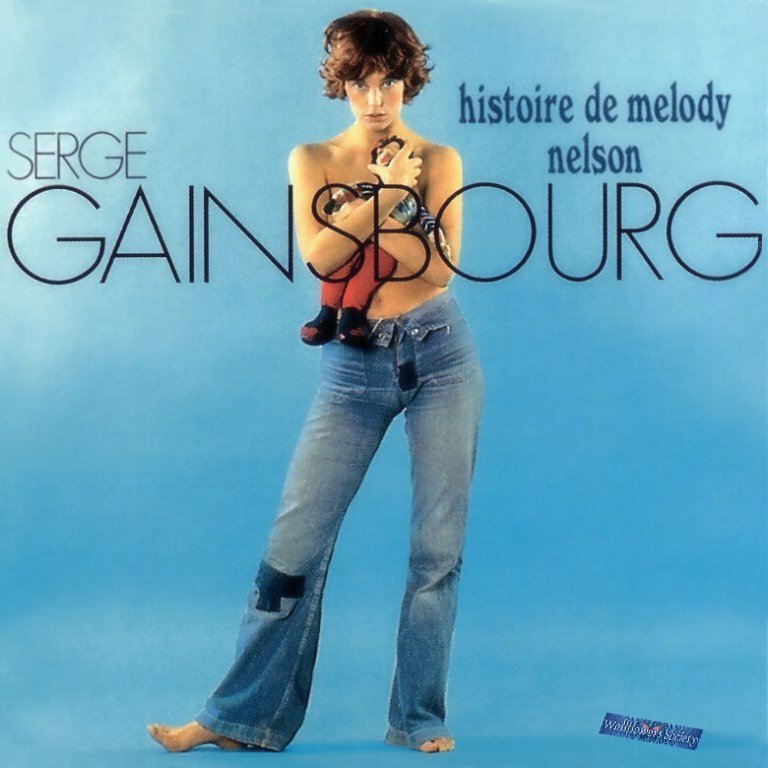 Lily: L’Edition Francaise developed because I have been completely obsessed with Serge Gainsbourg’s Histoire de Melody Nelson ever since the album was introduced to me by my friend Jean-Michael Omnes in 2003. I have listened to that album at least one hundred times and I love it more and more with each listen. The 27-minute concept album was too short to stand alone and I didn’t want to interrupt its greatness by dividing it with banter, so I needed more material to flesh out the evening. Enter two brilliant collaborators and voila! Because the show contained such diverse content, it was first produced under the blanket of Nightcap, my late-night show. After this first run, it was evident that the show had a complete life of its own and thus the title was re-imagined as La Danse! Le Burlesque! L’Edition Francaise! which more clearly states what the show is all about and reflects how exciting and fun it is. Lily: I have been a fan of Olivier ever since I saw him play Romeo in PNB’s production of The Tragedy of Romeo and Juliet. Later, when he was showing his early choreographic works at On The Boards and Spectrum Dance Theater, I was charmed by the candidness of his choreography and the playfulness he brought out in the dancers. I contacted him through an email address on his website and was very pleased when he responded enthusiastically to my invitation that he contribute a piece for this show. When I met him in person, my fascination with him only grew because of his incredible graciousness. One of the most hilarious moments was when he suggested that I needed to teach him all about burlesque. I went pale and sputtered, “what could I possibly teach you? ?” I remain baffled and flattered that he would say such a thing. Jessica: You’ve known Kitten LaRue for many years now- she asked you to join the Atomic Bombshells when you were first beginning to think of burlesque as something you could explore through the lens of your dance training. How do you feel your visions as producers complement each other? Lily: The way that she came to be involved in this show was simply that we were having coffee one day and I mentioned that I was looking for collaborators in the interest of exploring my fascination with Serge Gainsbourg. It just so happened that she had a wealth of ideas in regard to the ye-ye girls of the same era. The moody lasciviousness of Serge’s personality was perfectly offset by the buoyant naiveté of the girls in Kitten’s technicolor vision. Jessica: What attracted you to creating a choreographic burlesque production around Serge Gainsbourg’s album Histoire de Melody Nelson? Lily: The music is absolutely gorgeous. It is all at once rock and roll, poetry, classical string arrangements, virtuosic feats of choral prowess, loss, shock and passion. Essentially, everything that moves me to create. Also, the classical components of the album gave me a feeling of freedom to use my ballet background in a non-ironic capacity. Jessica: On a side note- the maniacal laughter of Melody on that record is quite unforgettable, don’t you think? Lily: Oh I certainly do! You know, the legend is that Jane Birkin’s laughter was recorded while her brother tickled her over a hidden recorder underneath her bed (placed there by Serge, of course). La Danse! Le Burlesque! L’Edition Francaise! ~ by angrytruffle on 09/26/2013.